During the creation of a NC file, an error message may appear on the command line, and the NC file is saved with the 'err.' extension. In this case, the NC file is functional, but the distance at which the holes should be drilled is not correctly displayed. 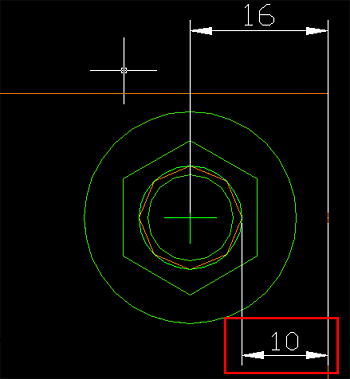 This error is due to the default safety distance in NC for holes, meaning that the distance between the edge of the bolt hole and the plate margin is smaller than the default distance. 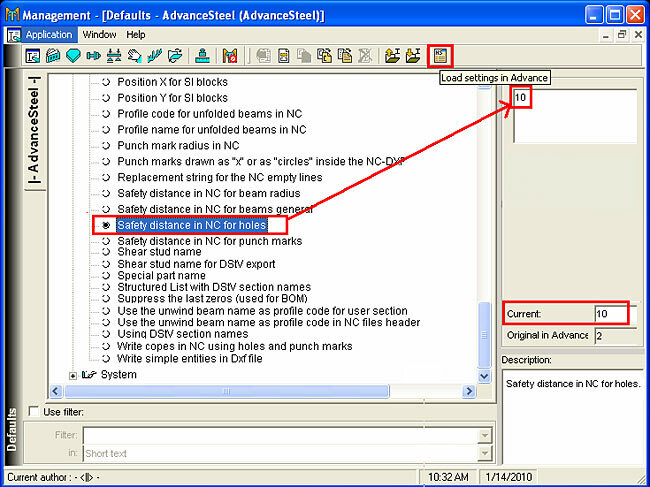 In "Structured BOM/NC", select "Safety distance in NC for holes". Enter the desired value in the field at the right side of the dialog, and then press < Enter >. Click the 'Load settings in Advance' icon to save the modifications in Advance Steel. This value is the minimum distance between the margin of the plate and the edge of the hole, with a default of 2 mm (or 1/16"). If the distance is greater or equal to the default distance, the NC file will be created without a warning. 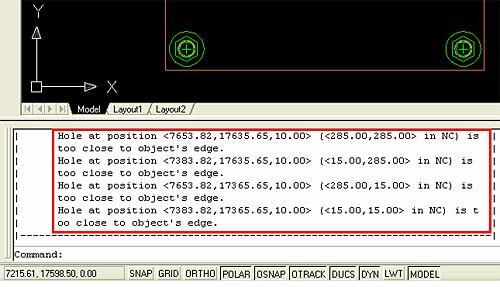 If the distance is smaller than the default value, the error message will appear at the creation of the NC file.